In the United States, the divorce rate has hovered around 50 percent for some time now. Consequently, blended families that result from second (or subsequent) marriages have all but become the norm in the U.S. While estate planning is important for anyone with a family, it takes on a heightened importance if you are part of a blended family. The Waukegan estate planning attorneys at Hedeker Law, Ltd. offers some tips to help you with your estate plan if you are part of a blended family. Before divorce became commonplace, traditional estate planning typically dictated that married spouses create reciprocal estate plans that included terms which left their entire estate to the surviving spouse. That way, if the husband passed away first, the entire estate was left to the wife and upon her death, the estate assets were distributed among the couples’ children. Conversely, if the wife was the first to die, any assets she owned were left to the husband and upon his death, all their combined assets were distributed to the children. Other aspects of estate planning were also less complicated. For example, beneficiary designations and fiduciary roles rarely needed to be updated. There was also less concern about who would make decisions in the event of incapacity as well as who would plan and oversee funeral and burial arrangements. When a blended family is involved, however, the waters become murky and the need for a comprehensive and current estate plan increases dramatically. Changing the Executor of your Last Will and Testament and the Trustee of a trust if you have one. Updating the terms of your Will to reflect the fact that you are no longer married. Changing beneficiary designations on life insurance policies, retirement accounts, financial accounts, and any other assets that include beneficiaries. Updating advance directives and powers of attorney by appointing a new Agent. Updating other estate planning components, such as a funeral and burial component, to ensure that your now ex-spouse is not still listed as a beneficiary, fiduciary, or agent. Once you are remarried, you will need to update your estate plan once again to include your new spouse and any step-children if you so choose. One common concern people have when they remarry is how to provide for a new spouse while still protecting assets meant for children from a previous marriage. One excellent estate planning tool that is frequently used to accomplish both goals is a Qualified Terminable Interest Property trust, or QTIP. For additional information, please join us for an upcoming FREE seminar. 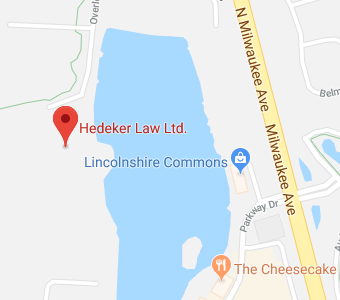 If you have additional questions or concerns regarding estate planning for a blended family, or you wish to get started updating your current estate plan to include your new blended family, contact the experienced Waukegan estate planning attorneys at Hedeker Law, Ltd. by calling (847) 913-5415 to schedule an appointment.